Here is the list of Premier Bride Expo vendor, by category, that will be at the expo on Sunday, September 23rd at the Renaissnace Resort at World Golf Village from 1-4 pm! Wedding planning made easy….the Premier Bride Expo is a great way for bride and grooms to meet their potential wedding vendors. 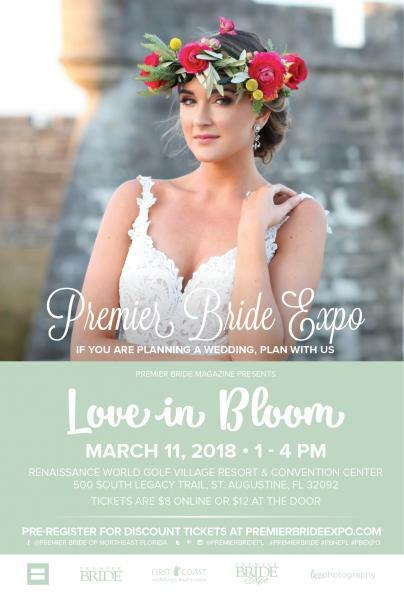 The Jacksonville show is Northeast Florida’s largest wedding expo….with over 120+ wedding vendors, brides and grooms will not be disappointed. 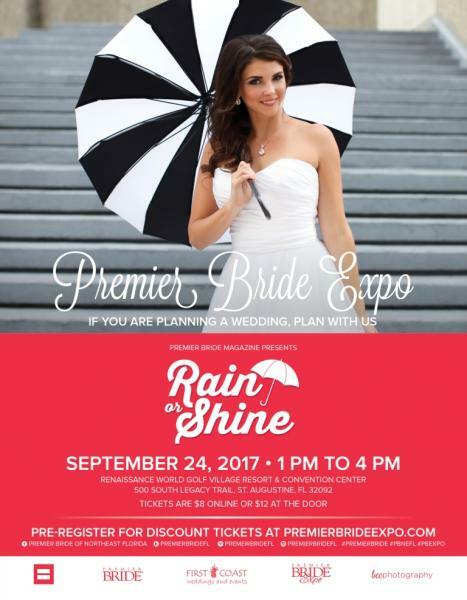 The Premier Wedding Expos are supported by Premier Bride Magazine of Northeast Florida. This means that the areas TOP wedding professionals are invited to attend the shows to represent the BEST North Florida has to offer. With so many vendors representing over 20 different wedding categories – there is something for everyone! Every bride and groom are treated like a VIP! As each couple walks in the expo, they are handed a swag bag, filled with information and goodies. 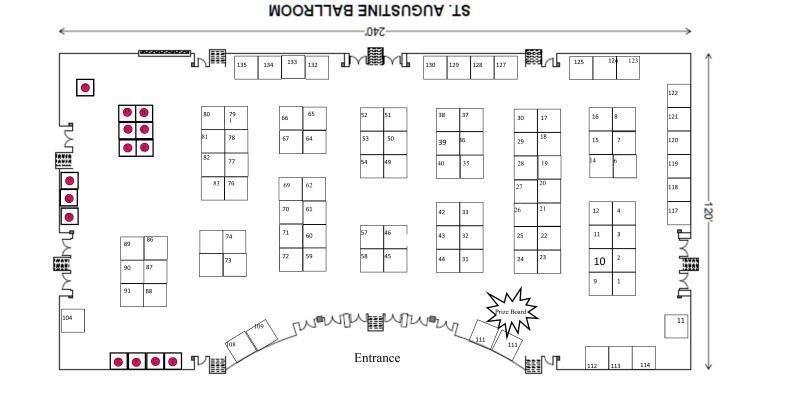 The bag is also great to collect information from all the incredible vendors they will meet during the show. Discounted tickets can be purchased online or your can buy tickets at the door. Tickets can be printed off and presented at the show or you can visit the “Will Call” line and you can be looked up by your last name or order number. 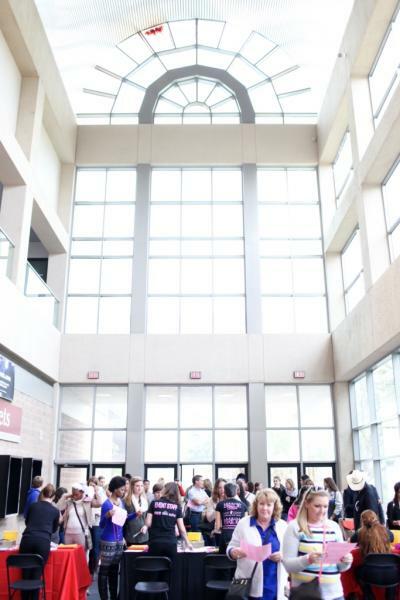 This line is also designated for the brides and groom who could not print their tickets…but have it on their phone! Make sure you pick up the latest copy of Premier Bride Magazine when at the expo. It is filled with great articles, tips and of course, tones of wedding vendors. Many of the vendors in the magazine come to the shows, so if you have a copy of the publication, mark the vendors you would like to see. 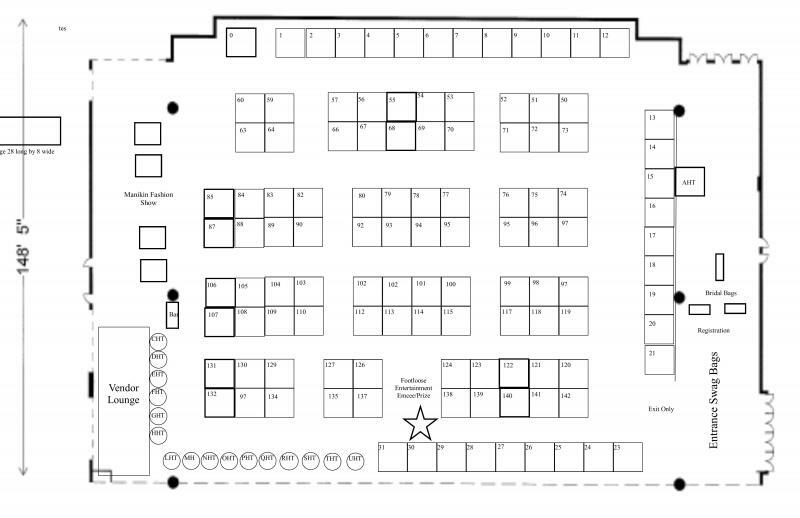 Stop back at our blog for a list of vendors – this information is posted before each show! As a basic rule, we always suggest the bride and groom find their wedding venue first. By booking your wedding venue it allows you to have a date that allows you to check the availability of all the other wedding vendors you will need to hire to complete your day! There will be plenty of wedding venue options at the show. We also encourage you to visit all of the wedding planners and highly consider hiring someone to help you navigate the planning process! 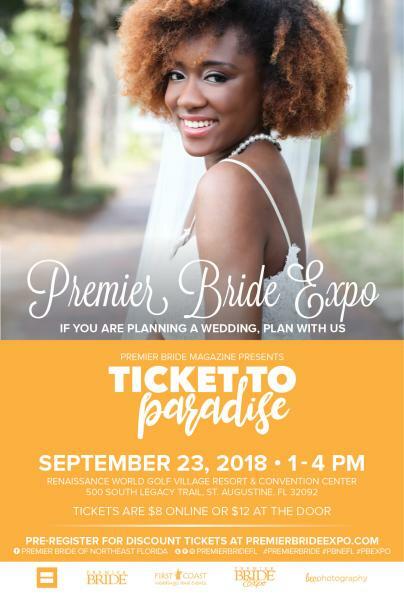 Brides, grooms, friends and families – here is the list of participating vendors from the Premier Bride Expo on Sunday, September 24th at the Renaissance Resort at World Golf Village. Make sure you make your own list of potential wedding vendors that you would like to talk to or categories of vendors you still need to hire. Where there is over 100 different vendors, it makes it hard to see and talk to everyone within a 3 hour time frame….so make a list. Depending on when your wedding is, you probably have some extra time to plan. You can also plan on attending our next wedding expo on Sunday, January 14th at the Prime Osborn Convention Center in Jacksonville Florida. It’s the last PREMIER wedding expo of the year! Join us and 120+ professional wedding vendors on Sunday, September 24th at the Renaissance Resort at World Golf Village! Newly engaged to almost brides-to-be are encouraged to attended because there is something for everyone! 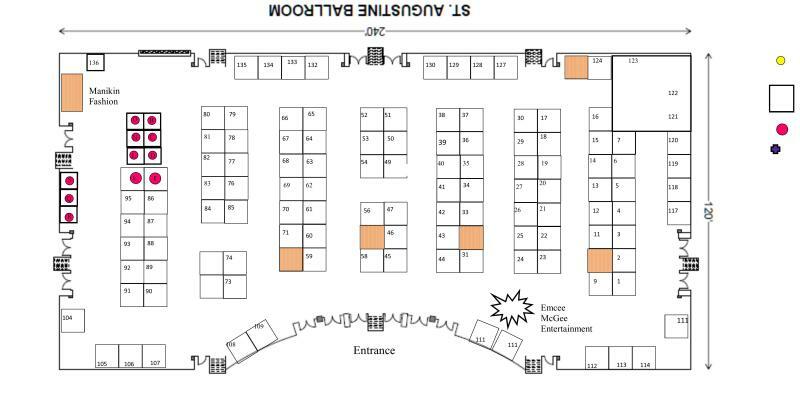 With vendors representing over 20 different categories you will find new ideas and inspirations down ever aisle! We have live music, manikin fashion shows, food, sweets, swag bags, prizes, décor set ups and so much more. It’s a great afternoon to be shared with your fiancé, moms, bridesmaids and/or friends. Discounted tickets are available online, just make sure you print your confirmation for fastest entry to the show. You can also purchase tickets at the door for $12 cash. 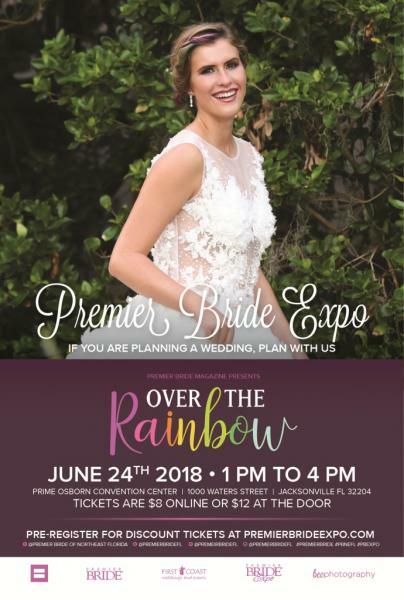 The Premier Bride Expos are sponsored by Premier Bride Magazine of Northeast Florida, so make sure you pick up your latest copy of the publication and find out how you can have your wedding featured!